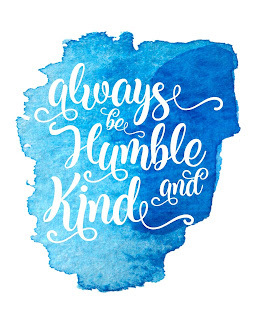 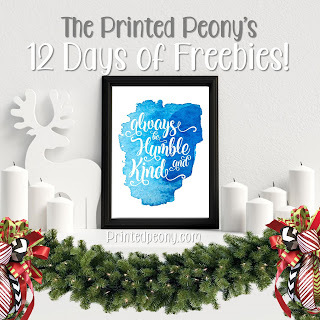 Today's Freebie is an 8x10" jpg 'Always Be Humble and Kind' Watercolor Splash Print. 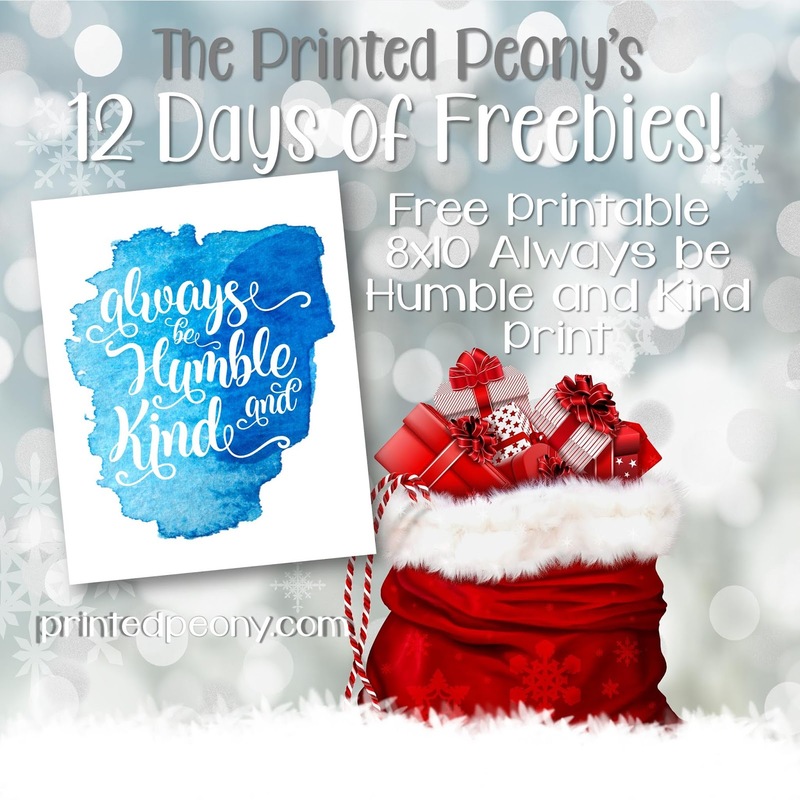 The Print is an 8x10" 300 dpi High Resolution jpg. Check back tomorrow for another Freebie as we continue our 12 Days of Freebies!